Don’t gamble when it comes to planning your event. Casino night is a popular theme for fundraisers, parties and formal events. KidsParties.Party will connect you with vendors and entertainment services that provide card tables, slot machines, professional dealers and Vegas-inspired décor. What Goes into Hosting a Casino Night? 1. Games: The most important aspect of hosting a Monte Carlo night is choosing which games to play. A successful party will have multiple games going on, from poker to blackjack to Texas hold ‘em. For guests who are not adept at cards, consider renting a roulette wheel, craps table or slot machines. You can also host a tournament during your party, for those guests who are high rollers. 2. Prizes: Many companies provide poker chips or “funny money,” which is fake money to be used during the party. For an exciting way to engage your guests, purchase several prizes that your guests can trade in their winnings for at the end of the event. Your guests will be eyeing that big-ticket item all night. 3. Décor: Don’t just rent a few poker tables and think you’re done. Recreate the ambiance of Las Vegas or Atlantic City with decorations. Many services offer decorations for specialty themes, such as Roaring 20s or Old Hollywood. 4. Entertainment: You don’t want to play dealer all night, do you? When planning your party, be sure to hire a dealer for each table. Other personnel to consider are wait staff, catering services and live music. Need help planning you show-stopping event? KidsParties.Party features top entertainment services that will take care of every last detail. 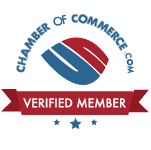 Simply choose your state and find vendors in your area. 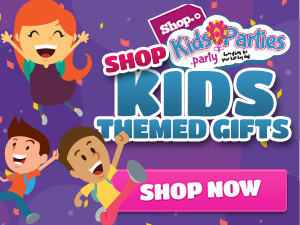 Be sure to check out our blog, Kids Party Central, for party ideas and tips.